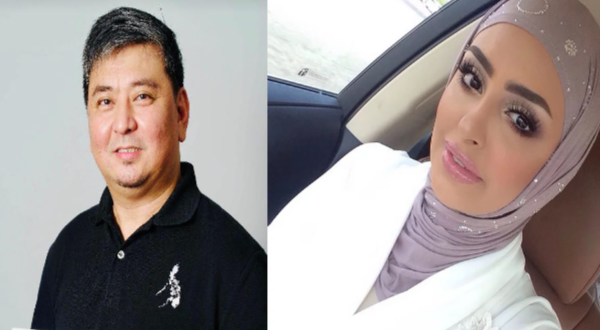 A Filipino citizen slammed a Kuwaiti social media influencer who recently made headlines in the Middle East after she complained about a new law allowing Filipino domestic helpers to keep their passports and have rest days. From Mark Lopez's post, "This Kuwaiti social media star should be reminded of what PRRD stated most eloquently “WE DID NOT SEND SLAVES. WE SENT HUMAN BEINGS!”"
Lopez identifies himself as a member of the Die Hard Duterte Supporters, who are running social media campaigns for President Rodrigo Duterte, and are always on call to defend him in the issues he gets involved in. "I join the chorus of people who are now heaping critical commentary on her rant. Sondos AlQattan is indeed a disgrace to humanity"
Alqattan made the remark speaking in Arabic, in a video uploaded and translated by TRT World, an English-language news channel based in Istanbul, Turkey. "How can you have a 'servant' in your house who gets to keep their passport with them?," she said. "If they ran away and went back to their country, who'll refund me? Honestly, I disagree with this law. I don't want a Filipino maid anymore," she added. She said that what's worse is that these Filipino domestic servants can have one day off per week. This statement has caused several negative feedback online, and the celebrity has been deemed "racist". Alqattan has disabled the comments section on her Instagram account where she has 2.1 million followers. Just recently, the government of Kuwait passed a law which enables Filipino overseas workers to be exempted from several provisions from the "Kafala system" after a diplomatic row with the Philippines in the first half of 2018. The Kafala system is an Arabic sponsorship system that allows employers to exert "ownership" over their workers. This gives employers the right to decide the terms of employment and when to terminate the contract regardless of the wishes of the employee. This new law was passed in May after Filipinos were banned from flying to the Gulf state where many Filipinos suffered abuse from employers, by President Duterte.